Chauffeur Services wanted a simple booking process for their clients and needed an Android App with Native user interface. User first selects if they want to do an hourly or point to point booking. If point to point they select date, time, enter going from and going to location, Select a vehicle then simply pay to book their ride. 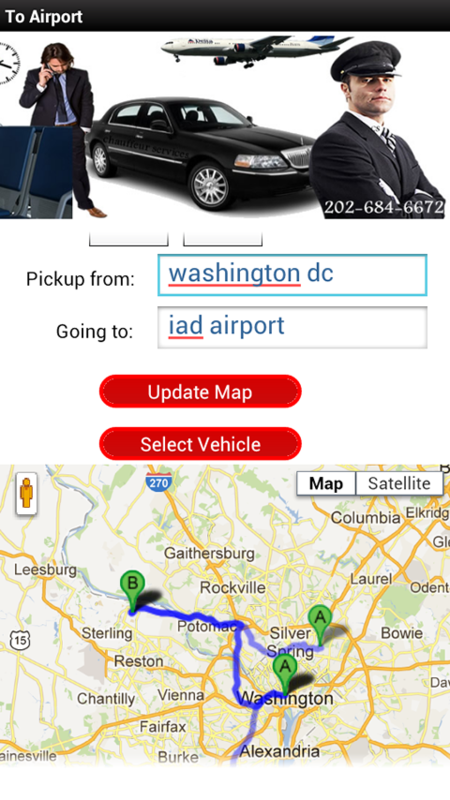 Limos Chauffeur Services app makes use of Google Maps api to estimate distance and time. The original developed application may be outdated and no longer supported by this developer.